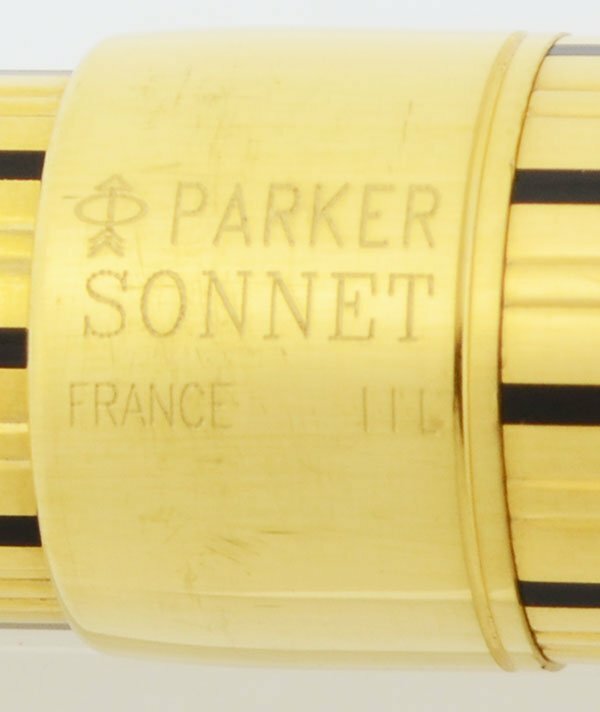 Parker Sonnet mechanical pencil, made in France in 1993. It takes 0.5mm leads. Gold plated Athenes pattern with etched lines and black lacquer pinstripes. Near Mint, new old stock, working perfectly. Product Name Sonnet - Mark 1. Two sets of trim were used for the Mark 1. All of the trim was standardized for the Mark 2 in 2003. Manufacturer and Year Parker, France -- 1993 (the date code is a clear IIIL indicating 1993). The model formally launched in 1994. Filling System The pencil takes 0.5mm leads. It extends via the propelling mechanism where you ratchet the cap clockwise to extend the lead. The cap can be pulled off to access the lead reservoir and an eraser. Color Athenes design. 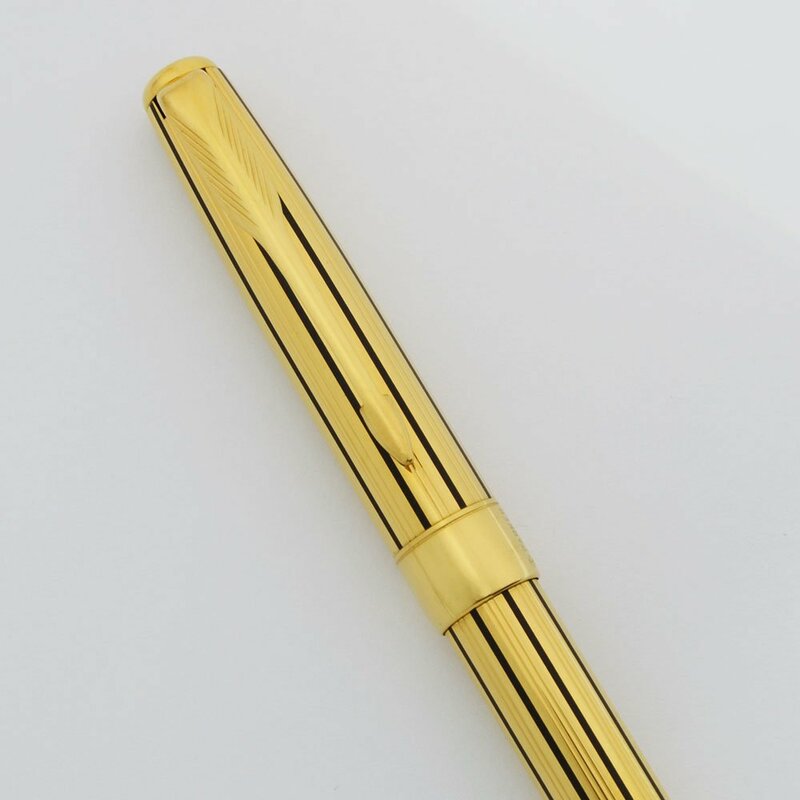 It is 23k gold plated with lengthwise etched lines interrupted by black laccquer pinstripes. 5/16" wide cap band. Condition New old stock in mint condition. No scratches, dents, cracks, dings, or personalization. The imprints are clear. It's working perfectly.